Athens-based Box Ships has announced that it has secured a two year extension on a loan facility with ABN Amro, which was scheduled to mature next month. Following this extension, the balloon amount of $10 million is repayable in 8 equal quarterly installments of $250,000 plus a balloon payment of $8.0 million payable together with the final installment in July 2017. Pursuant to this agreement, certain financial covenants and undertakings were amended or waived for the period commencing on June 30, 2015 and ending on June 29, 2016. Also, the Company agreed with the lenders of the syndicated facility with ABN AMRO Bank N.V. dated May 6, 2011, to amend or waive certain financial covenants, undertakings and the security cover ratio of this facility for the period commencing on June 30, 2015 and ending on June 29, 2016. Finally, the Company announced that it has entered into time charter contracts for the vessels BOX CHINA and BOX HONG KONG with Mediterranean Shipping Company S.A. for a period of minimum twelve (12) months to maximum sixteen (16) months. 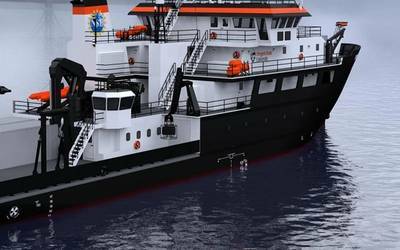 Both charters are expected to commence the latest by mid-July 2015. Mr. Michael Bodouroglou, Chairman, President, Chief Executive Officer and Interim Chief Financial Officer of the Company, commented: "We are very pleased to have agreed with ABN AMRO Bank the extension of the facility that is secured by the vessels BOX CHINA and BOX HONG KONG, as this agreement is another illustration of the ongoing support of our lenders and enabled us to charter the vessels at rates that further improve our cash flow generation." Box Ship currently has a fleet of nine containerships with a total carrying capacity of 43,925 teu.